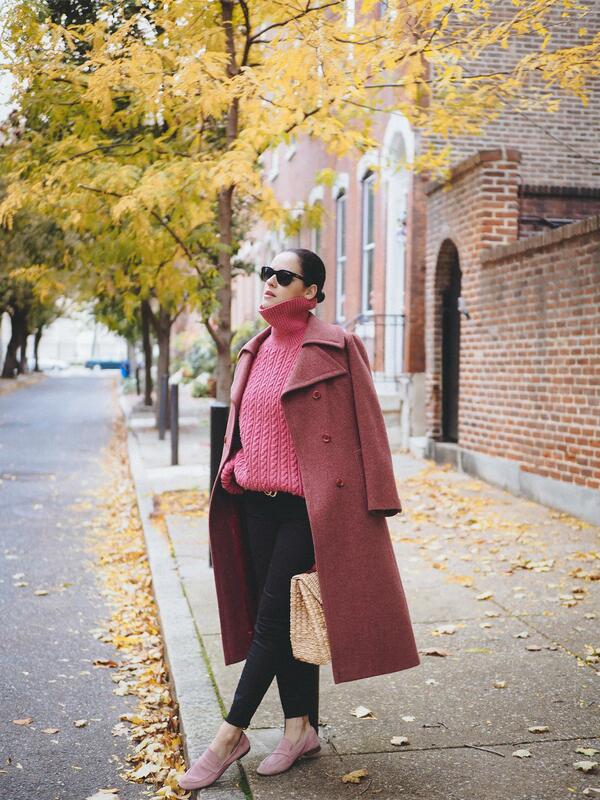 Another cozy, comfortable and casual Fall look is today's subject here on the blog. 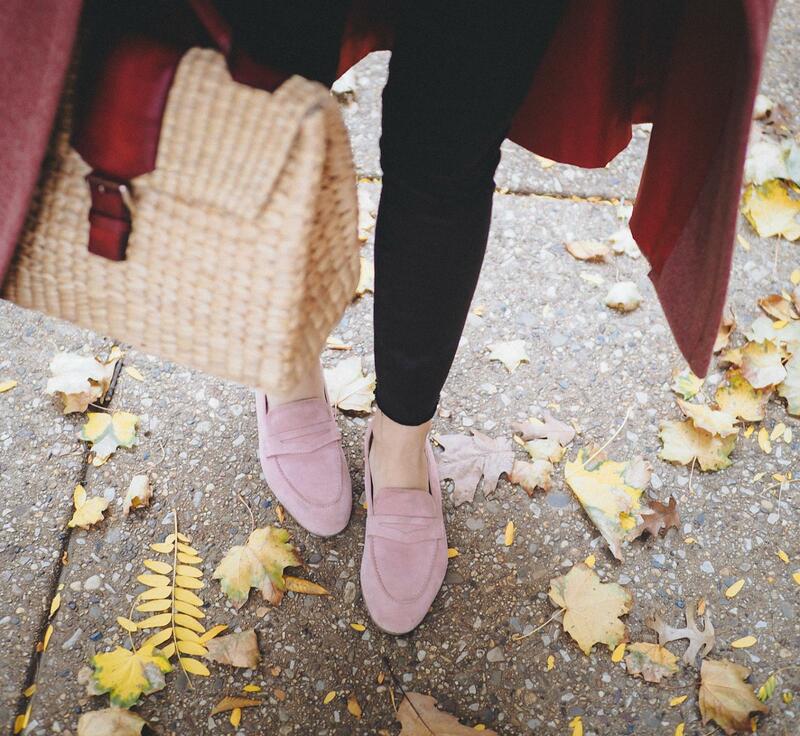 I often find myself wearing flats (mostly loafers) in the cold season. Maybe just because outside is a little chilly and you are more on the go. So probably you will be seeing me wearing and styling more casual looks than in the previous season. Today's look is one of them and I am wearing my latest vintage purchase, this vintage wool coat. Voila! Veronica, I really like all the tones of pink in your outfit together. 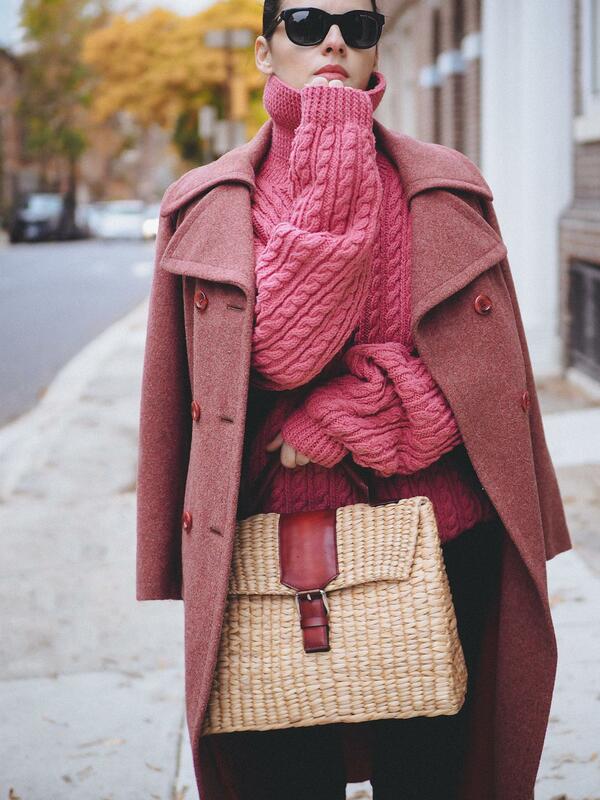 The sweater looks so cozy. How is little Noah? Thank you Pat! I love them together as well :) Noah is very well , thank you! You will see him soon here on the blog. I hope all is well with you and have a wonderful weekend! 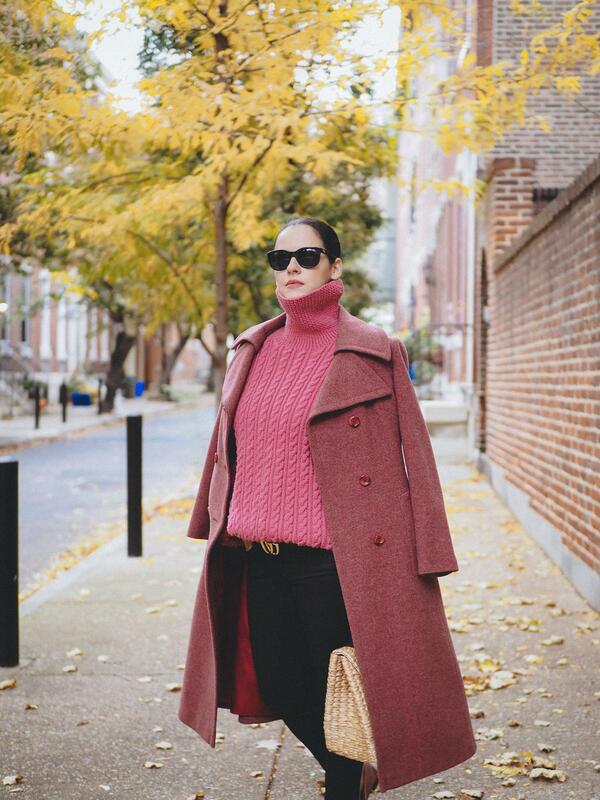 I’m loving this total pink and comfy Fall outfit! 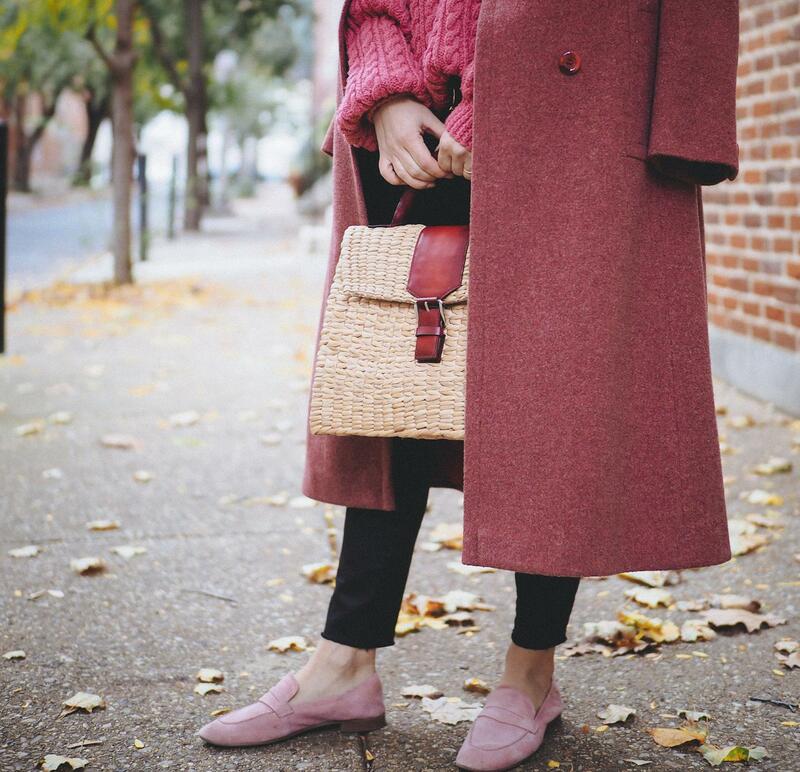 Your shoes and chunky knit are just perfect!